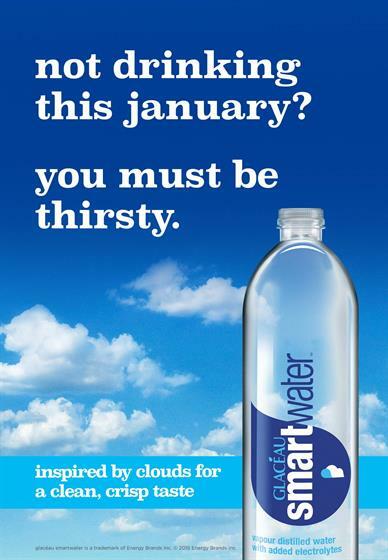 Coca-Cola brand Glacéau Smartwater has jumped on the Dry January bandwagon, telling consumers to "hit the bottle" in a digital out-of-home ad campaign designed to get them drinking its distilled water. 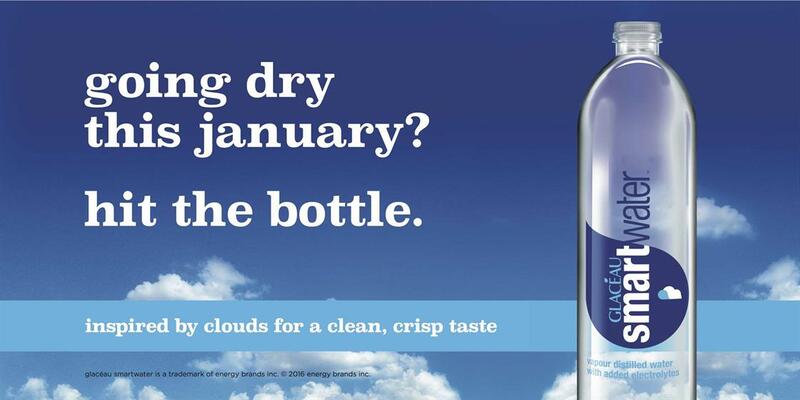 In one execution of the month-long campaign, the copy reads: "Going dry this January? Hit the bottle." 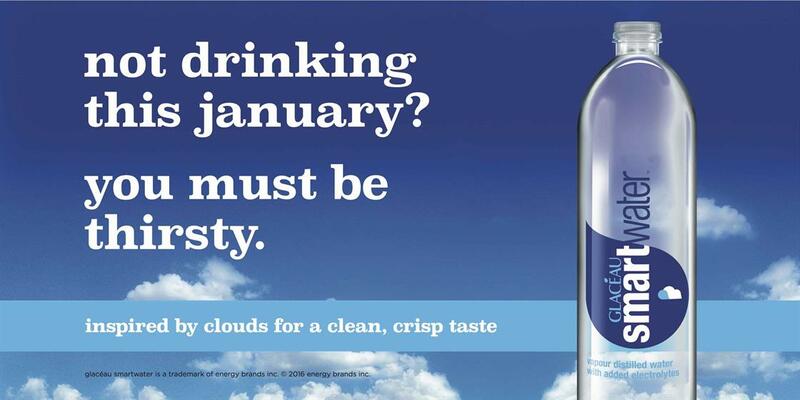 Another reads: "Not drinking this January? You must be thirsty." Digital outdoor activity will target roadside locations and train stations at major UK cities, while point-of-sale promotions will market the brand in-store. Glacéau Smartwater is a vapour-distilled water with added electrolytes that according to Coke has grown to a value of £18.4m since launching last year. It is available in single 600ml, 12 x 600ml and 850ml formats, with a six-bottle multipack set to launch later this month.